Located in Montana’s North Central region along Birch Creek, McAlpine Ranch boasts a colorful history. Pillar and shaft coal mining were employed there from the early 1900’s to 1943. And upon careful observation, one can make out buffalo jumps and tepee circles from early plains indians. 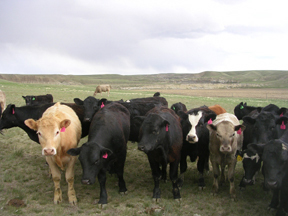 Over the years Clay has raised a number of crops and developed a pastured pork system renowned throughout Montana in addition to raising grass fed black Angus beef. 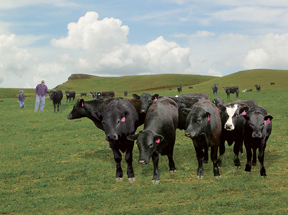 Understanding the value of grass farming, Clay’s goal now is to grass in the whole place, employ intensive rotational management of pastures, and focus on quality finishing of beef on grass. Farming sustainably since the mid ‘80’s, Clay became certified organic in 1997, more as a gesture of openness and transparency of his operation than for any other reason. He and Anne have four children, one of whom may eventually take over where Dad leaves off.